Android Nougat & its 7 most Relevant Features. Worth it? We have seen recently that Google announced the new successor Android Nougat to its current -But not so famous- Marshmallow Android 6.0, the version of Android that while it had been quite promising. Like its predecessor, the Android 5.0 Lollipop could not match the success which he has had versions as Android Kit Kat, which is the most widely used version of Android today.This is partly due to the limitations of hardware equipment range, but many users do not feel a real need to stop using Android 4.0 Kit Kat. 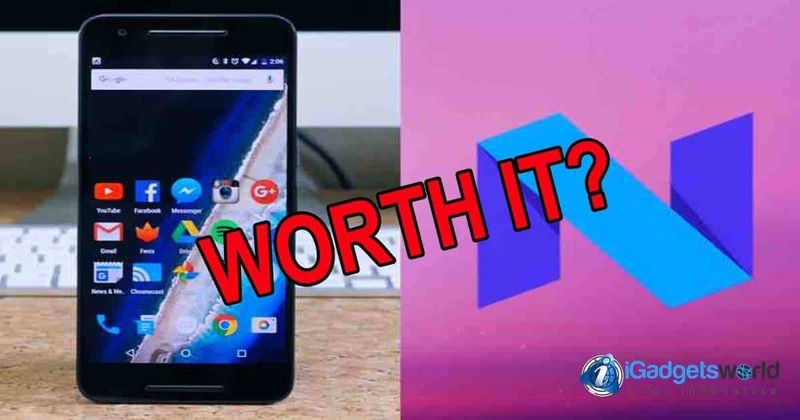 The big question is – Will feel the need to upgrade the operating system on your phone or change is to have Android 7.0 Smartphone Nougat in your hands? If you’re wondering if the Android 7.0 Nougat worth, here in iGadgetsWorld have compiled the 7 most important updates of this new Android OS that maybe if you felt no need to switch to Android 5.0 or Android 6.0, Android Nougat perhaps convinces you. Android Nougat will allow us to have Several windows open at the same time and side by side, This feature will be easy to use and native. This functionality means a huge boost to your productivity; it’s like having a PC in your hands. 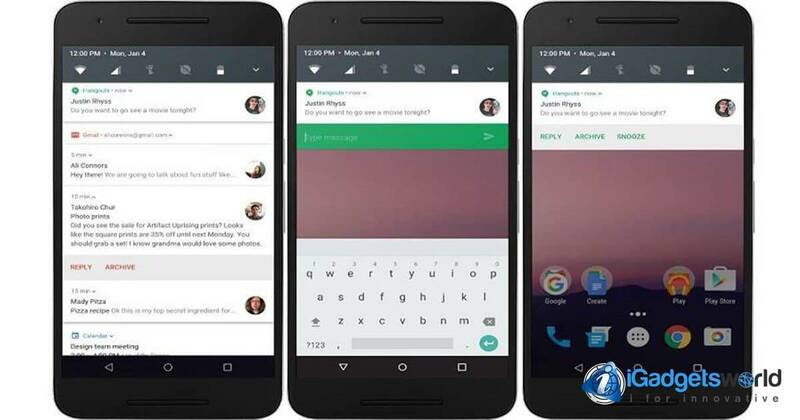 Imagine the following scenario, you are chatting with a friend via Skype and you need to watch a video on YouTube, normally you would have to switch between your windows, but thanks to android nougat you can simply place the windows side by side and do Both things. It has not happened to you that you have hundreds of Facebook notifications in the notification bar and you cannot see the other notifications of apps that cover the entire screen when you display the menu? Well, with Android 7.0 Nougat this will not happen. 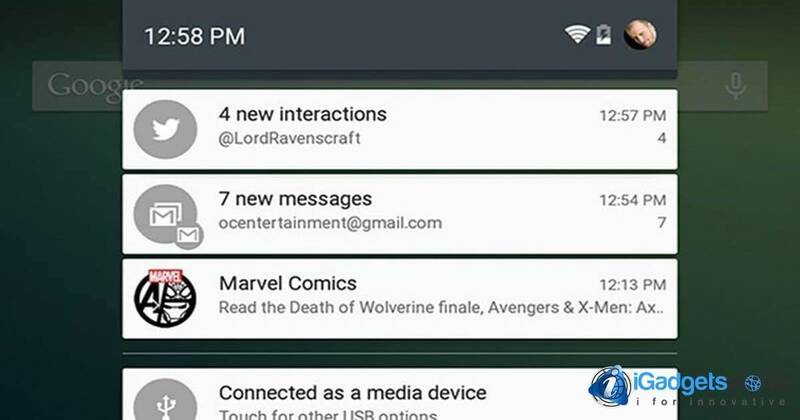 Its new design grouping notifications allow only have a notification application, and if you want to see all notifications in this app especially you can deploy and collapse them, so you will not miss into all Facebook notifications. Something very useful if you’re part of the Community Manager world and you handle hundreds of accounts and notifications simultaneously. With this new Android Nougat, the recently Android dose which works with Android 6.0 Marshmallow will be automatically activated faster and with not so many requirements. For those who don’t know it, Android does is a native app for Android which makes your smartphone saves battery when it’s activated. 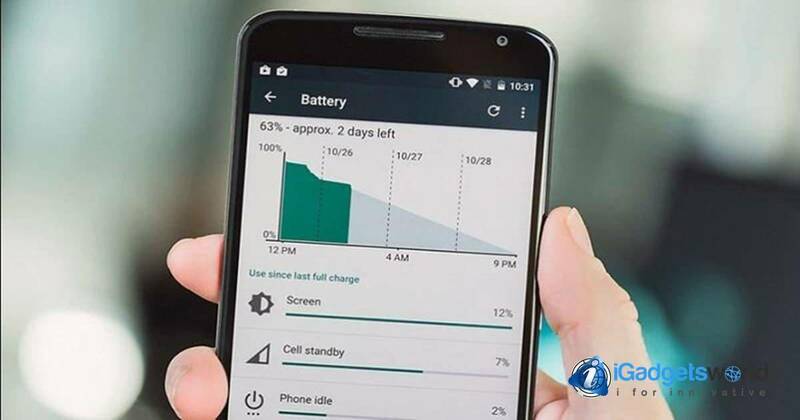 It will be activated by its own and automatically when it feels that is in our pocket for save energy and make that your smartphone keeps with life in all the entire day. Very useful for those who only charge its phones only one time during the day and mostly in nights. Isn’t it? 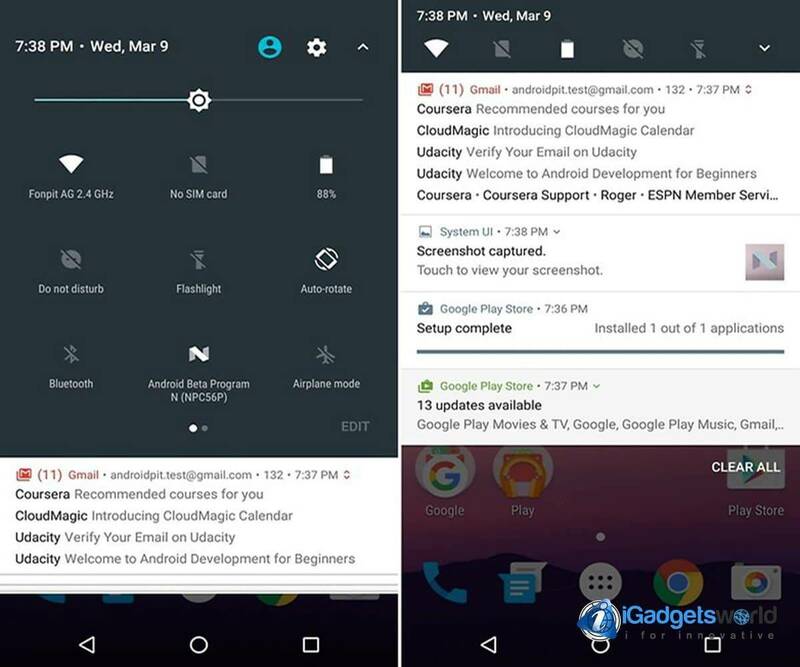 Such things as display settings, active connections, and other settings will be much easier to modify in the new Android Nougat design, which is expected to be much more informative and minimalist. It has not happened to you that you need to change phone network change and get lost in the menus? Or if the UI design of your manufacturer does not have a brightness adjustment with easy access you must search each settings menu? 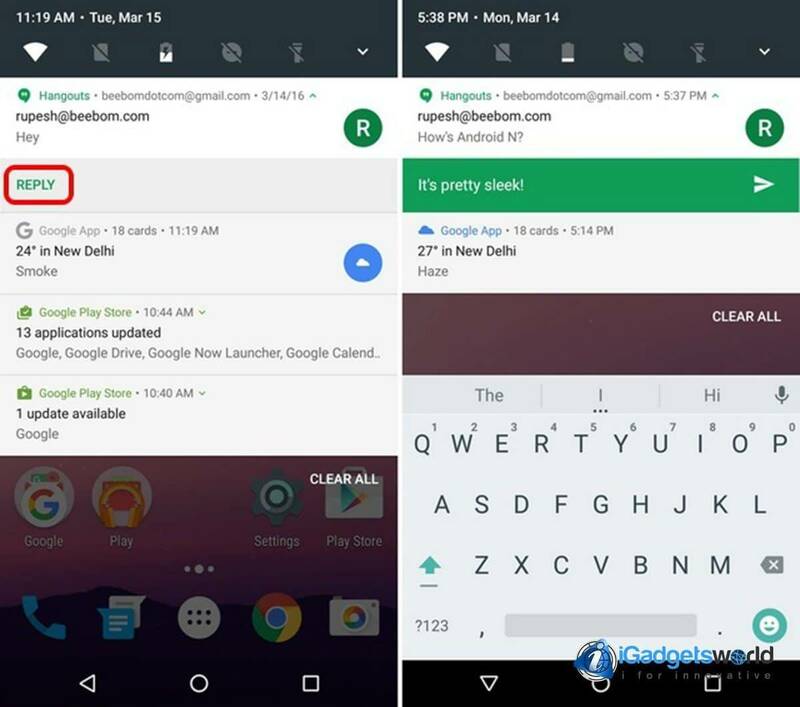 This means that Android Nougat allows you to answer directly in the notification display by clicking the notifications and just texting your answer there. Imagine that you have all your attention focused on a task, you are working on a document, for instance, and someone texts you via WhatsApp or a similar, well then you can quickly answer by using the notification that pops up. This brand new feature of Android Nougat provides the option of switching between the most recent apps just by pressing a dedicated button twice. This is like the “Prev” button that many TV controllers feature, but instead of channels, you’ll be switching your apps quickly. 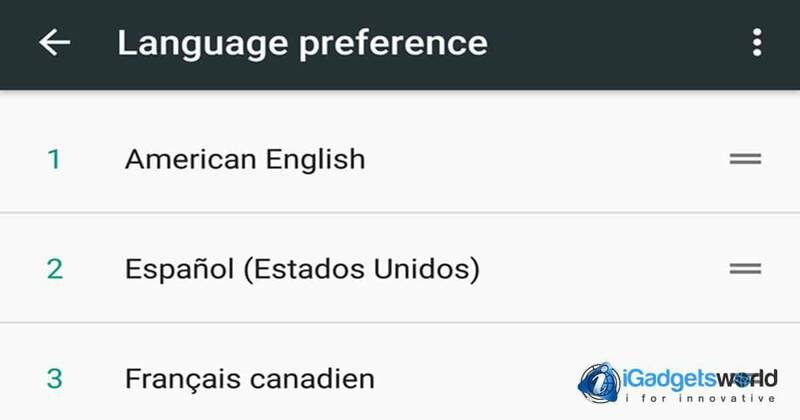 Android Nougat will support two languages at the same time, this feature isn’t new when it comes to PC, but for Android users, this is an outstanding incorporation. It will allow us to set a primary language and a secondary one, so if you install an app that doesn’t support your primary language it will be displayed using the secondary one without the need of changing the settings. This means that Google will also show you more search results on your language (in both languages). This is awesome, especially for those who speak two languages and sometimes need to change the settings just for being able of writing properly in a certain language. These are all the 7 most impressive and useful features of this new Android 7.0 Nougat, maybe for someone will be pretty attractive and for others maybe not. If you will going to travel to Italy and you want to use OK Google talking in Italian but if you haven’t learned some Italian word and instead you need to say what you need in English, you’ll need to change the languages on OK Google with the Bilingual feature with Android Nougat. Android Nougat has new features that for someone can be very useful, such as Multiwindow, and why not, for us will be very useful. When was the last time that you had to stop the music from Youtube because you needed to answer a message? 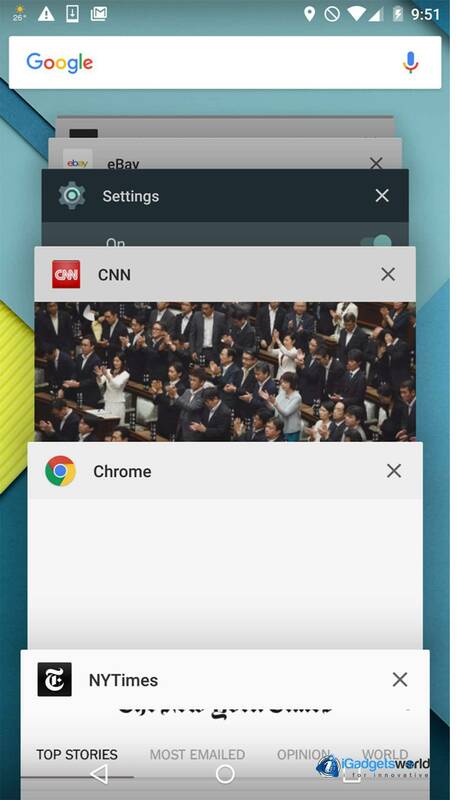 With multi-window, that will never happen again! Moreover, the answer feature from the notification bar is really useful if we don’t want to open one app just for an answer “OK”. And think about this: You want to answer to someone via Whatsapp, but you don’t want to be “Online” if you don’t want to be online, just don’t open the app, and besides, answer to that person with the notification bar of your new Android Nougat. Isn’t that enough reason for have it? Now, what do you think? Do you want to have it with you? 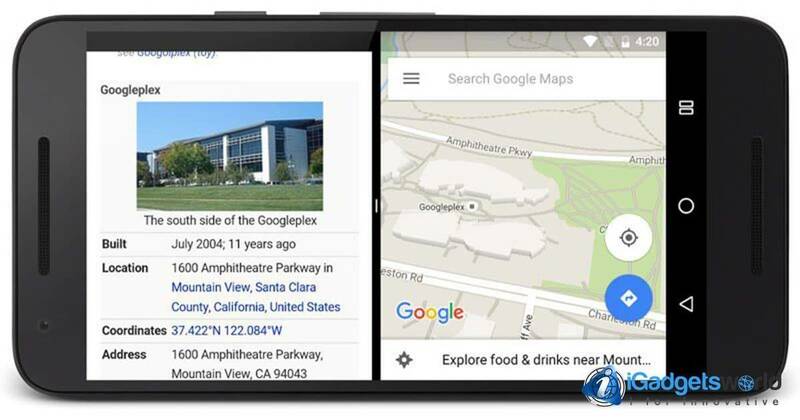 Which Android version do you use right now? 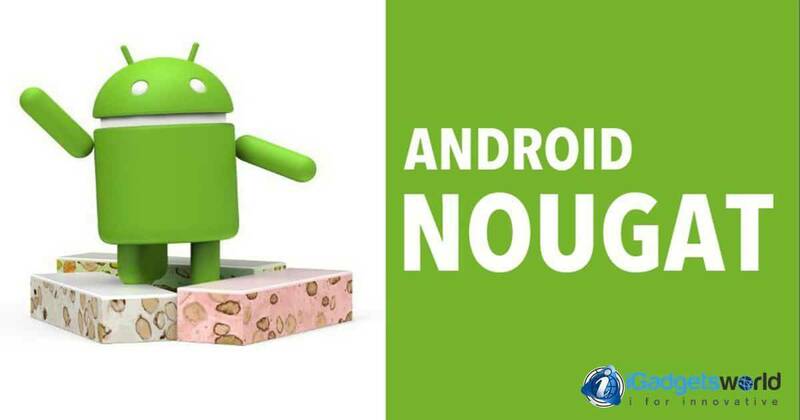 Android Nougat will be released soon, and here on iGadgetsWorld, we will work to keep updating our followers on Facebook when it will be released. Why don’t you follow us and be the first to know when Android Nougat will be released? Previous articlePaytm Maha bazaar sale: How to buy all products at 1 Rupee?